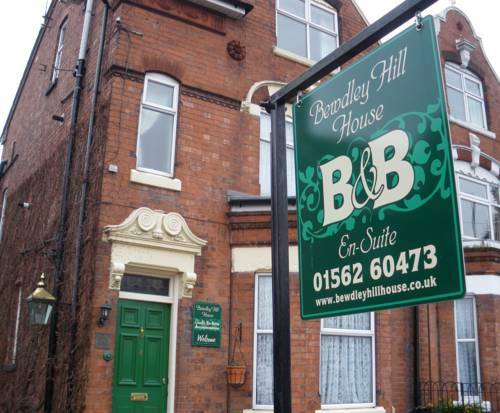 Bewdley Hill House is an Edwardian villa offering traditional bed and breakfast accommodation, within a short walk of the centre of Kidderminster, ideally located for the Severn Valley Railway and the West Midlands Safari Park. A very warm welcome is assured when visiting our elegant, well maintained Edwardian home. We are just a short walk from the town centre and situated on the main A456 Kidderminster / Bewdley road, gateway to some of the best attractions and finest countryside in Worcestershire. Traditional full English, vegetarian or continental style breakfasts are freshly prepared and served each morning in our comfortable dining room. There are plenty of pubs and restaurants in the locality for evening meals, some within easy walking distance. With a versatile combination of six Twin, Double and Family rooms, we can cater for the individual traveller, couples, families and groups. * please note; Single occupancy is available in any of our rooms, at a charge of £45.00 please contact us for further details.